With a stay at Econo Lodge West Haven in West Haven, you'll be within a 15-minute drive of Yale Bowl and Yale University. Featured amenities include complimentary newspapers in the lobby, a 24-hour front desk, and a safe deposit box at the front desk. Free self parking is available onsite. Located in Madison, The Scranton Seahorse Inn is near the beach, within a 5-minute walk of Scranton Memorial Library and Allis-Bushnell House and Museum. Free self parking is available onsite. 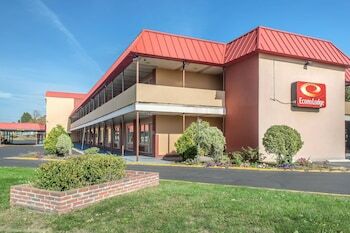 Located in Branford, Americas Best Value Inn Branford is near the bay, a 2-minute drive from Bill Miller’s Castle and 5 minutes from Stony Creek Museum. Free self parking is available onsite.